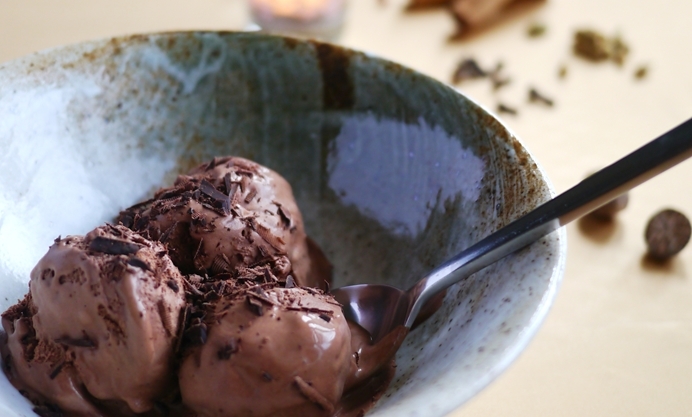 This spiced Belgian chocolate ice cream recipe is creamy, indulgent and refreshing. Spiced with pink peppercorn, cinnamon, cardamom and ginger, this ice cream recipe really does have it all. In 1993 I went to Bruges as part of a history school trip. One day we were left to our own devices, but given the option to attend a chocolate making demonstration in the back of a glorious smelling Belgian Chocolatier. The aroma was so intoxicating, I felt like Charlie Bucket in the Wonka Factory. “Belgian chocolate is the best in the world,” the chocolatier trilled, while coating trays of moulds in thick, molten chocolate. There was a boy in my year who was half-Swiss, and his lip snarled at the claim, but we all believed it. How could any chocolate anywhere be better than this? How could anything at all be better than this? We left the shop with carriers stuffed with truffles and found a café where I drank the best hot chocolate I have ever drunk. I've tried to find something similar. I've tried to recreate it. But this hot chocolate made all other hot chocolates to follow dull and lifeless in comparison. I gave up that hunt and have found solace in Belgian chocolate ice cream instead. 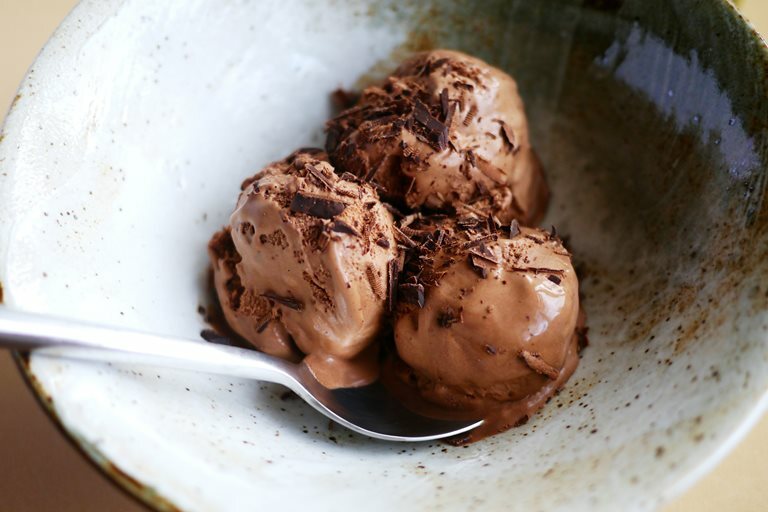 Smooth, creamy, indulgent and refreshing: not many things in life can make such claims, but this spiced Belgian chocolate ice cream really does have it all. The gentle, warming heat of pink peppercorns, ginger and cinnamon, balanced against a cooling breath of cardamom. The spices add layers of flavour that seem to make the chocolate ice cream taste, well, even more chocolatey. You can use other chocolates if you must, but I have always found the best results come from using a good quality dark Belgian chocolate.